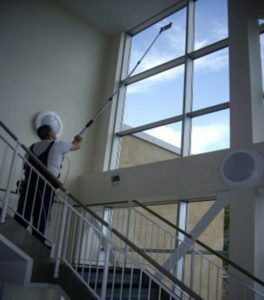 Are you searching for Window Cleaning Commercial Services Montrose Texas, but you do not know where to turn to? Address your window cleaning needs in the right way by hiring the right cleaners and technicians for your business. Are you ready to figure out how to completely restore your windows to keep customers coming back time and time again? If you have been preoccupied with your business for a while now, you are probably in need of some type of professional cleaner who can address your windows. Often, business owners get so preoccupied with their business, that they do not realize how important it is to have clean windows. Windows are absolutely essential to the beauty of your business. But also the ensure that your customers or clients will want to come back. Research shows that customers are more likely to turn away from a business if they see the outside of the building and it’s unkept. So, if your windows are dirty and grimy you may be losing many customers. Perhaps your business has been growing so much you have not had the time to deal with windows. When these things happen, you may also notice that the exterior is deteriorating. When things like this happen, make sure you get the best help by calling our company. Our cleaning company provides you with high-quality cleanings when you need them the most. You can count on us to make sure you get the best possible Window Cleaning Company Sugar Land service each and every time you call us. With over 10 years of experience in this industry, we’ll send the expert technicians you’ll need to completely sanitize your windows. Make sure you’re able to experience the cleanest windows you’ve ever seen by calling us today at 832-639-3434. Our team can help you learn more about our service and deliver timely solutions to your window cleaning needs. Whether you are trying to sell your home. Or having guests over for a party. Or you simply want a better curb appeal. Having clean windows will give your home a dazzling first impression. Your windows are a focal point because they are the first thing people will see when walking past or entering your house. And if your windows have a layer of dirt or grime on them. It can give a bad first impression to your home. 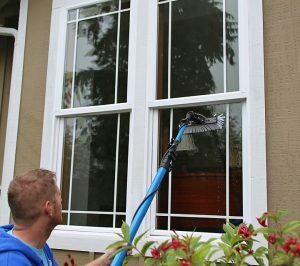 Below are some Window Cleaning Do’s and Don’ts Houston for maintaining your home’s windows. Maybe you have a maid service or housekeeper. Or you think you will just clean the insides windows yourself. And only have professional window cleaners take care of the outside. That might seem like it would be more cost effective, but that is not usually true. And really only professional window cleaners have to tools to really clean your windows well. With top of the line cleaning equipment and solution that is not available in stores. And your housecleaning service might leave streaks. Let’s be real, cleaning windows is something most homeowners forget about and neglect. Which is why Window Cleaning Company Houston has cleaning crews that are professionally trained to only leave your windows looking crystal clear. 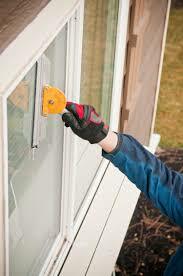 You can trust us to work inside your home and outside. If you’re having any other services done around your homes such as landscaping, painting, or pressure washing. It is best to save the windows for last. Why? Because when you are landscaping, painting, or pressure washing. Dirt and dust that can be stirred up by even minor maintenance. And it will land on your windows and there go your clean windows. Schedule professional window cleaning last, so that your clean windows can be the finishing touch. Here in Houston TX, we get a lot of rain, which is another reason why dirt, dust, and salt can accumulate on windows. You might think that rain cleans your windows, but really it is just picking up more dirt and grime to stick. And because it rains often you cannot be worried about mother nature. Do not use mother nature as an excuse to not clean your windows. You still need to frequently clean your windows to ensure they stay in good shape. 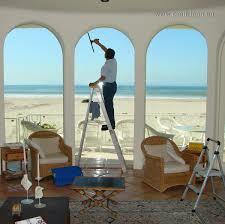 It is time to have your windows professionally cleaned today by Window Cleaning Company Houston. 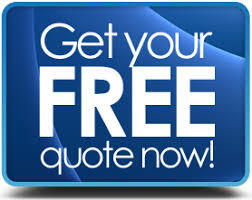 All you have to do is call our friendly specialist at 832-639-3434 to schedule your estimate. Once your appointment is scheduled, one of our experts will come to your home. And give you an estimate to clean your windows. We have been Houston’s premier window cleaning company in Houston because we offer the best prices. Call us today and get one step closer to having crystal clear windows. 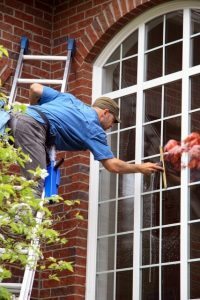 When you need the best Sugarland TX Window Cleaners for your windows, it is important to weigh your options carefully. Are you looking to clean your windows yourself? Or are you looking for a team to deal with all the stains on your windows? If you are looking to ensure that your windows are crystal clear. Then our team is here to help. 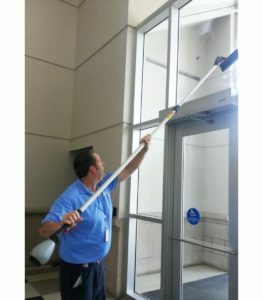 Window Cleaning Company Houston is the leading window cleaners in Sugarland TX. When you need your windows professional cleaned, you will be able to trust our team. It is important to be able to trust the people you hire. You do not want to hire a team that does not have experience cleaning windows. Because all they will do is leave your windows in worse shape than before. Google reviews are a great way to see if a company knows what they are doing. And at Window Cleaning Company Houston, we have shinning Google reviews. Just like the windows we clean. You can count on our expert cleaners to give you the expert solution you are trying to find. 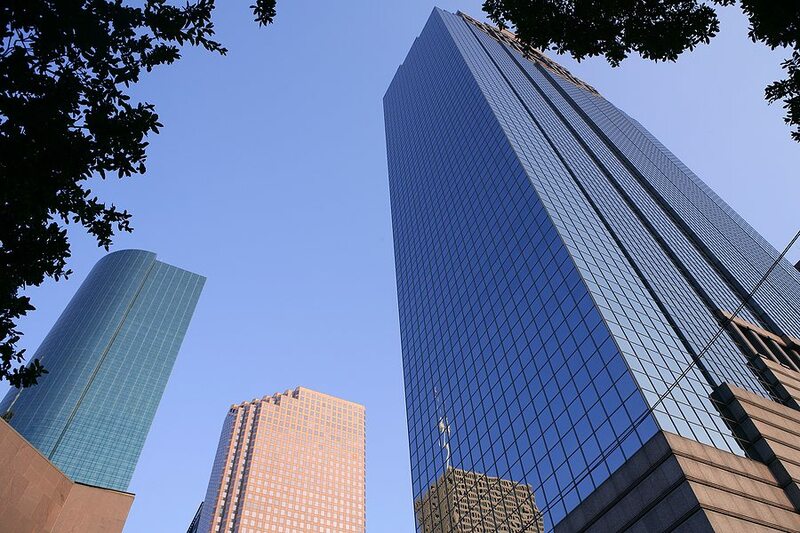 Window Cleaning Company of Houston is a place you can trust when you need your windows to look crystal clear. While do-it-yourself options are great. You should still have your windows professionally cleaned to ensure they stay in great shape. There’s nothing quite like a professional window cleaning in Sugarland TX. And our professionals are here to make sure you experience a great window cleaning service. Cleaning your windows is not something you have to struggle with again. Especially when your hire the best Sugarland TX Window Cleaners to help you. We have over 10 years of experience servicing the greater Houston area. And our reputation shows that we are the best cleaners in Houston and the surrounding areas. We are a local cleaning company that strives to deliver the best services. Any window cleaning service you need to be done, we can do it with the top of the line equipment. Call us today at 832-639-3434 for more information on how we can change our window game. Window Cleaning Company of Houston commits to giving our customers quality residential cleaning services. That leaves you completely satisfied with your window’s final appearance. Are you looking for a professional window cleaning service? But not sure When to Clean You Windows Katy TX? Your windows are the first thing people see when they come to your house. They give your guests a first impression. Because of this, it important to maintain them in hopes to keep them in great shape. 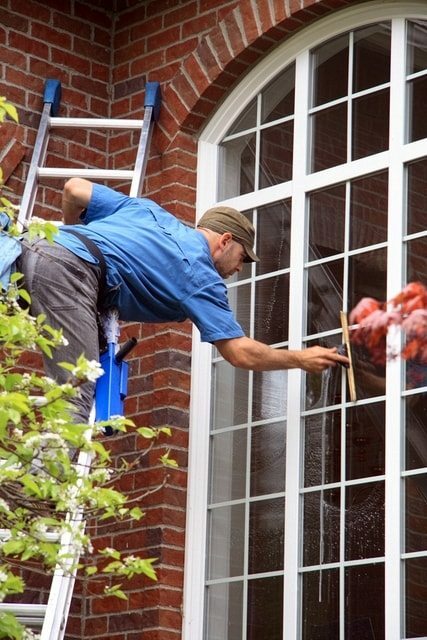 And window cleaning services can be a great investment if you are not happy with the curbside appeal of your building. You do not want your windows disintegrating faster than they should be. But instead, you want crystal clear windows. Because this can elevate the exterior of any building. Often, homeowners do not know when to clean their windows. And in this post, we are going to highlight when you should clean your windows. To keep your windows in great shape. We recommend cleaning your windows yourself at least once a week on the inside and outside. You can do this with. Microfiber cloth and basic cleaning solution. 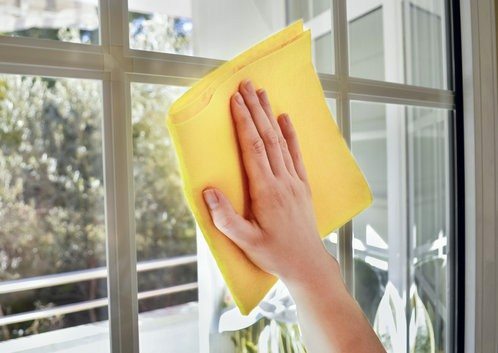 Cleaning once a week will ensure that your windows do not look old and grimy. And bacteria and mold are not able to build up quickly. We also recommend having a professional cleaning service come to your home at least once a month for a cleaning. Because our technicians will be able to use cleaning equipment and solution that is not available in stores. To really make your windows crystal clear. We are also able to reach higher windows with our ladders. Which is something you may not be able to do. Having our service team come to your home once a month ensures that your windows are in good shape. Because we will do inspections of our windows each time. And let you know if we find a problem. 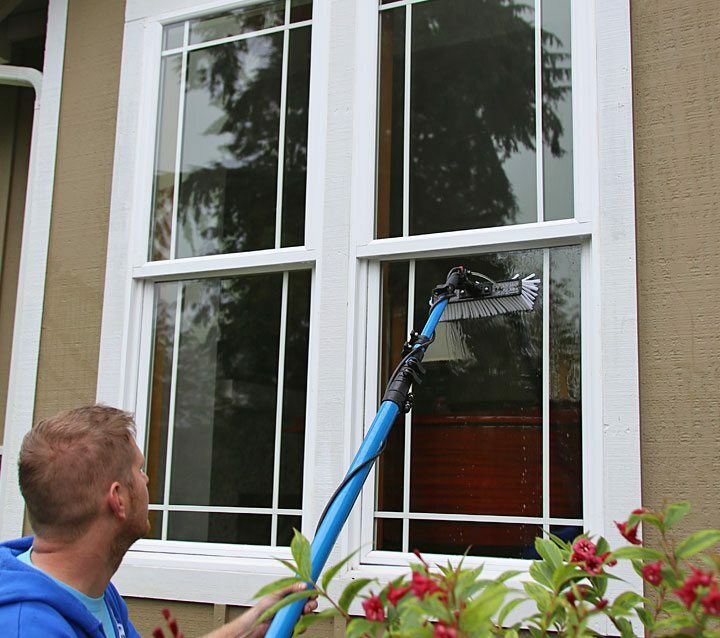 Window Cleaning Company Houston provides you with quality cleanings for your residential and commercial windows. With commercial-grade equipment and a leading team of expert technicians available. You can count on us to help you keep your windows clean all year long. We service the greater Houston area as well as its surrounding areas. Now you know When to Clean Your Windows Katy TX. And Window Cleaning Company Houston is here to help you at any time. Call (832) 639-3434 today for more information on our company and how we can serve you.